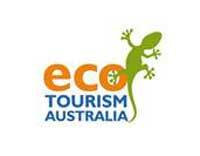 Eco Tourism Australia and as held Advance Eco Certified status since 2012. We established our Private Nature Refuge – Boomberpee (meaning koala) over the majority of the site to protect this beautiful habitat into the future. Additionally our development was carefully planned to minimize disturbance to the land.